A: We are a factory and we have our own right to imoport and export. Q: Can you provide OEM service ? A: Yes, we can provide OEM and ODM service. Q: Where's your main market? A: We are exporting lint roller mainly to the markets in Europe, the United States, Middle-East and Southeast Asia. Q: Can you list some of your clients? A: We are long-term supplier of DAISO JAPAN, LOTTE KOREA, VANISH USA, EVERCARE USA, WATSONS. A: (1).Low MOQ: It can meet your business very well. (2).OEM and ODM Accepted : We can produce any sytle your design . 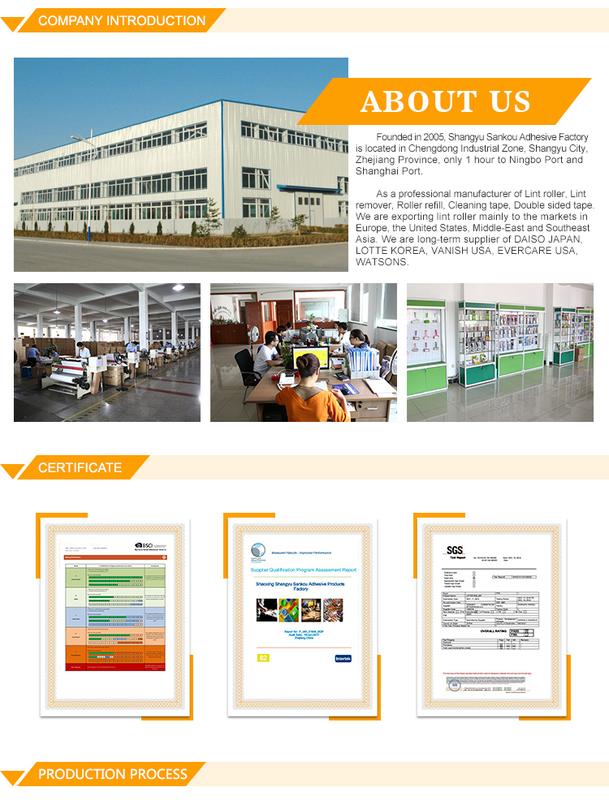 (3).Good Quality : We have strict quality control system . 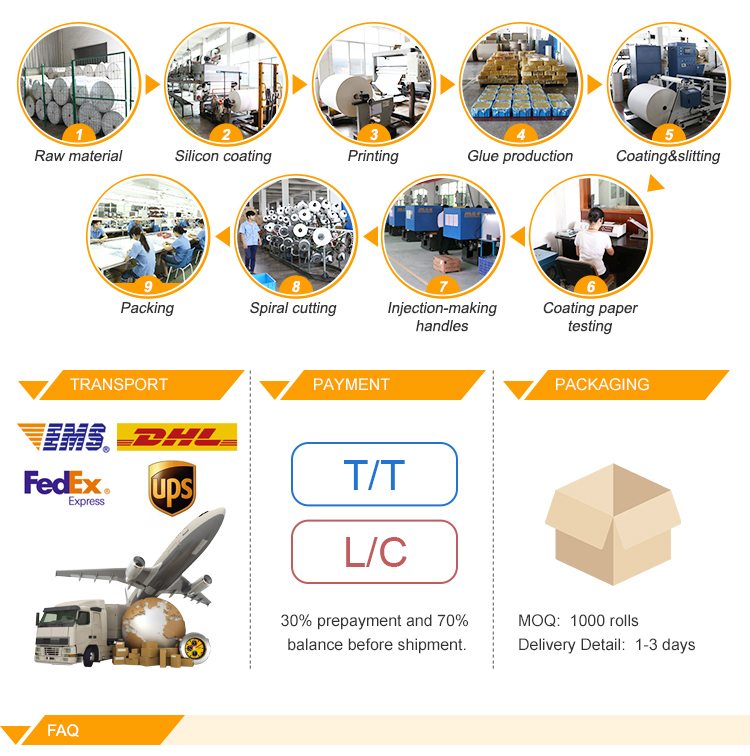 (4).Short Delivery: We usually finish production in advance.